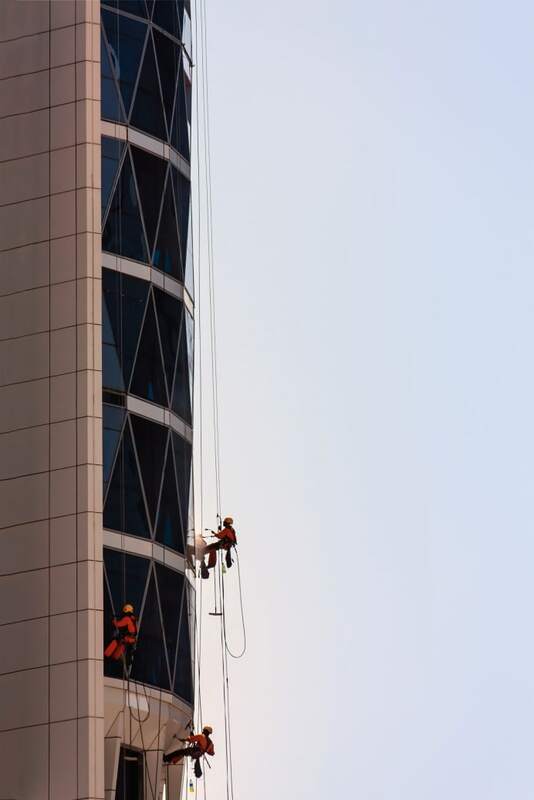 Whilst prevention is obviously the first consideration, the working environment is not always conducive to this and therefore a wide variety of fall arrest systems have been developed. However, should a fall occur, it is vital to recover the arrested wearer as soon as possible to prevent further trauma. This article describes some of the systems and methods available for the recovery of a user whose fall has been arrested by personal protective equipment. Fall protection is usually associated with working at height, however, it is equally relevant when working at ground level near the edge of a hole or when accessing a shaft. Activities such as these are the cause of a significant number of recorded accidents that result in a high level of serious injuries and fatalities every year. 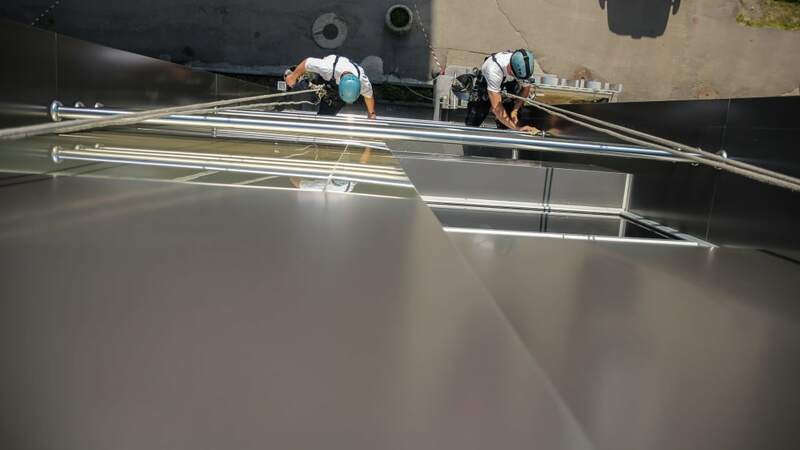 The European Directive 2001/45/EC implements work at height regulations in W RESCUE FROM HEIGHT Preventing or limiting falls is a key priority when working from height ARTICLE | Pete Doughty, SATRA the European Union. These require that all work is properly planned and organised, it takes account of weather conditions and those involved are trained and competent. 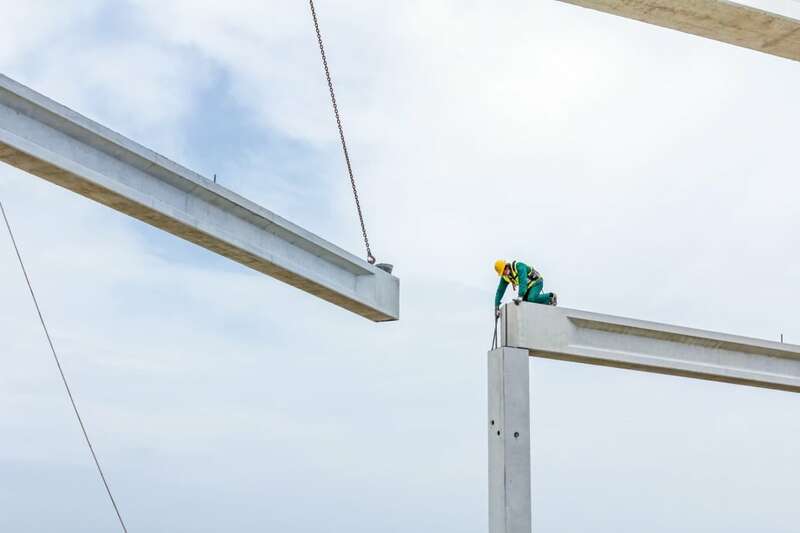 They require the work place to be safe, work at height equipment to be formally inspected and the risk from falling objects to be properly controlled. 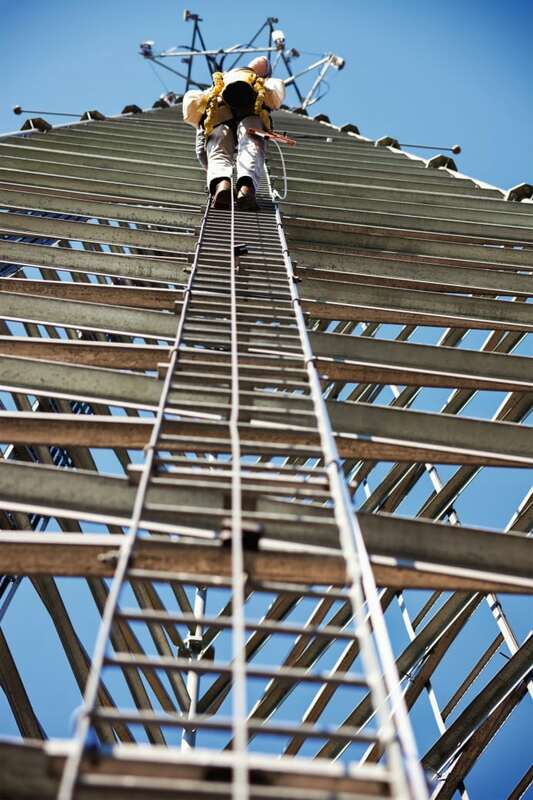 Firstly, whether the possible work at height could be avoided by for example carrying out the work at another location where there is no risk of a fall. Secondly, where the above is not possible, measures or equipment need to be used to prevent a fall occurring. Examples include barriers or anchor points and restraining harnesses. Finally, where the risk of a fall cannot be eliminated, work equipment or measures need to minimise the distance and consequences of a fall should one occur. A variety of fall arrest equipment comes under this category. When selecting equipment for work at a height, collective protection measures (such as guard rails), priority of personal protection measures and those that prevent a fall should be considered first over those that minimise the consequences of a fall. However, there are many jobs where fall prevention measures are not possible and in these circumstances users must be provided with personal protective equipment (PPE) in the form of individual fall arrest equipment. Fall arrest equipment is defined as a form of protection that involves the stopping of a person who is already falling in a safe manner such that they can either rescue themselves or be rescued. Fall arrest systems usually incorporate some form of energy reducing device that limits the forces applied to the body during a fall. Fall arrest PPE is widely used in a number of jobs carried out at height. The basic principle of such equipment is to enable the user to have unrestricted freedom of movement but in the event of a fall, to arrest the descent preventing the user hitting an injurious object by catching them at an earlier stage – namely, before the energy associated with the fall reaches terminal levels (either when hitting the floor or due to decelerations that are likely to cause death). However, a key factor with any fall arrest scenario (and one that is quite often overlooked in such situations) is how the user is likely to be recovered once he or she suffers a fall. This is especially important where fall arrest is used, as the potential for permanent injury and possibly fatal consequences will increase the longer the user is left suspended following a fall. As well as the need for treating any injuries sustained in a fall, there is the effect of suspension trauma – sometimes called ‘harness hang syndrome’ (constriction of blood vessels and pooling of blood in the limbs) to consider, which can have fatal consequences if the pressure on the user is not released within good time. Fall arrest harnesses are designed to hold the wearer in a vertical position after a fall and if left immobile, fainting will occur with death occurring soon after as a worst-case scenario. It is therefore essential to rescue an unconscious person within minutes and to treat them appropriately on the ground (in a sitting position rather than laid down). In fact, standard first aid advice to lay the fainted patient down and raise their legs is absolutely incorrect in this situation and should be avoided at all costs. The need for suitable training is therefore important, to ensure that operatives are able to carry out the rescue in as short a time as possible and to carry out the appropriate suspension trauma related first aid once on the ground. In Europe, equipment intended for rescue only is outside the scope of the PPE Directive 89/686/EEC and, therefore, does not need CE marking. There are exceptions to this rule, such as where rescue equipment is integrated into fall arrest equipment. As an example, a retractable fall arrester which includes an integrated rescue winch facility would require CE marking, as would a rescue harness intended to be worn when commencing work and which incorporates other fall protection attachment points. 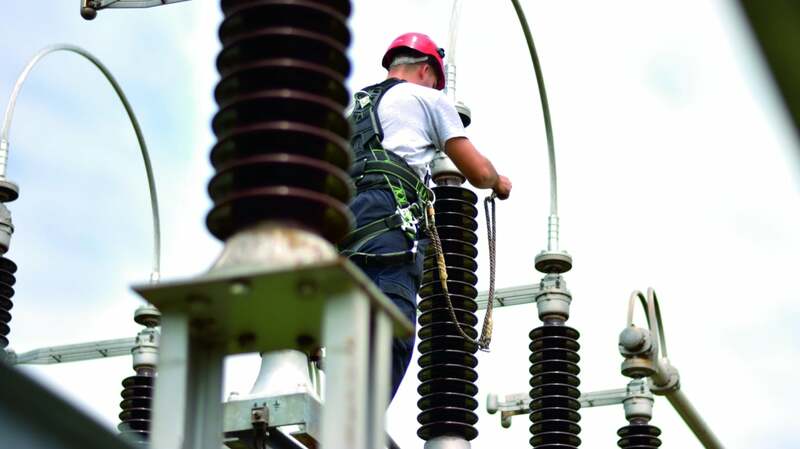 Fall protection PPE is considered to be “Complex” design PPE – products which claim to provide protection against risks of mortal danger or dangers that may seriously and irreversibly harm the health of the user. The initial design of the product needs to be assessed and certified by a Notified Body (NB), and the manufacturing environment and subsequent production are also under the supervision of an NB. The PPE Directive is due to be replaced by an EU Regulation (2016/425) on the 21st April 2018. However, the scope remains the same as for the Directive in relation to equipment protecting against falls from a height and does not include purely rescue/recovery equipment. There are a number of systems and methods available for the rescue or recovery of a user whose fall has been arrested, including both systems integrated into a fall arrest device and standalone products. The system and method in use will depend on the location, type of work and the type of fall arrest equipment in use and should, therefore, be tailored to each individual job. Regardless of the method used, speed of rescue is paramount to prevent the worst effects of suspension trauma and the fall arrest casualty (if able) and any rescue team need to be thoroughly trained in rescue technique. EN 1496:2017 details requirements and test methods for rescue lifting devices. These devices are designed to lift users from their place of rest up to a safe location after a fall, and are divided into ‘type A’ (lifting only) and ‘type B’ (lifting and limited lowering) devices. Rather than intended for lowering users down to the ground, type B devices are used for lifting casualties upwards, and for lowering over short distances of less than 2m, in order to negotiate obstacles. The standard includes design and material requirements for the device, including any ropes or wires used alongside the device. It also includes requirements for the strength of the device, which are defined as at least 10 times the maximum rated load, with a minimum of 12kN test force (120kg user mass). This ties in with the requirements for man-riding devices under normal lifting and lowering conditions (‘LOLER’ – Lifting Operations and Lifting Equipment Regulations 1998 in the UK). The standard also includes a test for the function of the device in overload conditions. The device should be capable of lifting and holding a mass equal to 1.5 times the maximum rated load of the device. An ergonomics test is also included – the device must be able to be operated under a maximum applied load (for example, to the lifting handle) of 250N. Although rescue equipment does not fall within the scope of the PPE Directive or new PPE Regulation, it is important that all equipment sold for the purposes of rescue has been properly tested and checked for suitability for use. SATRA would recommend that products undergo an initial type approval process and that production is monitored either by regular testing or assessment of a quality assurance system. Where a specific standard exists, buyers should always request copies of independent test reports conducted by a reputable test laboratory operating an ISO 17025 quality management system to support any claims of compliance by manufacturers. In the absence of the formal procedure for checking ongoing compliance of manufacturing, such as defined in Article 11 of EC Directive 89/686 for PPE, it is also advisable to check that the manufacturer has a suitable quality system in place that is assessed by a recognised quality management system certification body. In addition, although a product intended for rescue only cannot be CE-marked, it is always advisable that if a product could be misused as part of a fall arrest system, it should be tested as such. Pete Doughty is the Business Manager responsible for product certification at SATRA. He sits on and chairs a number of standards technical committees and European working groups. He joined SATRA in 1986 and has been involved with research projects, test method development and for the last 20 years testing and certification of PPE. SATRA is able to offer both testing and, where applicable, EC type-examination of most types of fall protection PPE, including rescue systems. Please email ppe@satra.com for more information.